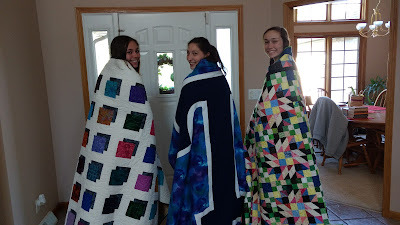 From all those pretty smiles, I'd say everyone is well pleased with their quilts! Nice job on all the quilts! ---"Love"
Congratulations to all of the girls. Their quilts are beautiful. Hope they enjoy using them for many years to come! Are the reverse sides of these quilts T-shirt quilts? I've never seen one with such a beautiful elaborate side! Just gorgeous! 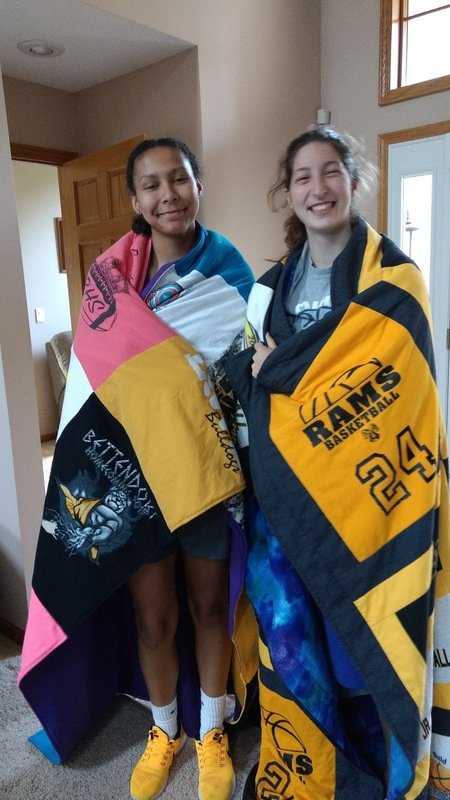 Beautiful quilts shown off by beautiful girls! 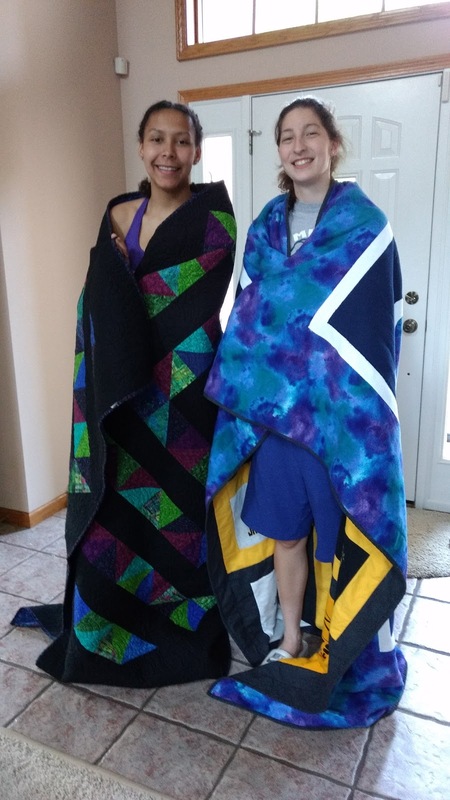 Quilts make wonderful graduation gifts!